Jason has called the Green Mountain state his home since enrolling at Champlain College in 2004. 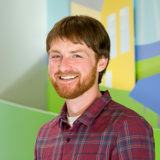 Before joining SunCommon you could have found Jason managing a couple different small businesses in Chittenden County, traveling New England as a ski and snowboard rep, or working as a professional mountain bike trail builder throughout Vermont. He is grateful for the work he does with SunCommon and enjoys helping Vermonters reap the many benefits of going solar. Jason lives in Morristown with his wife their two dogs Hobbs and Addison, a cat named Chapman, and their Morgan horse EX. In his spare time when he’s not clearing land for their horse and building a barn, he enjoys splitboarding, XC skiing out the back door, mountain biking, and live music.